Professional football is America’s most popular sport. Globally however it’s playing catch-up but there’s a local man who wants to change that, and he’s starting in China.For decades, arena football has been catching on with fans in the U.S. In China however the game is just kicking off.”This is historical. There is no pro football and there has never been,” Marty Judge said. Conshohocken based Philadelphia Soul owner Judge has brought the pigskin to the far east. His new China American Football League debuts this fall in China.”It’s been a process. You have to learn the culture. You can’t just walk in and set up shop and say let’s go,” said Ken Bozarth, the head of football operations.Four years ago, Judge and his team partnered with six Chinese universities to establish a base to teach players and coaches the rules of the game. There are even instructional videos in Mandarin about the different positions. David Niu is President of AFL Global, the league’s parent company.”I was a bit of a skeptic four years ago. How are we going to find guys big enough to play the this game. 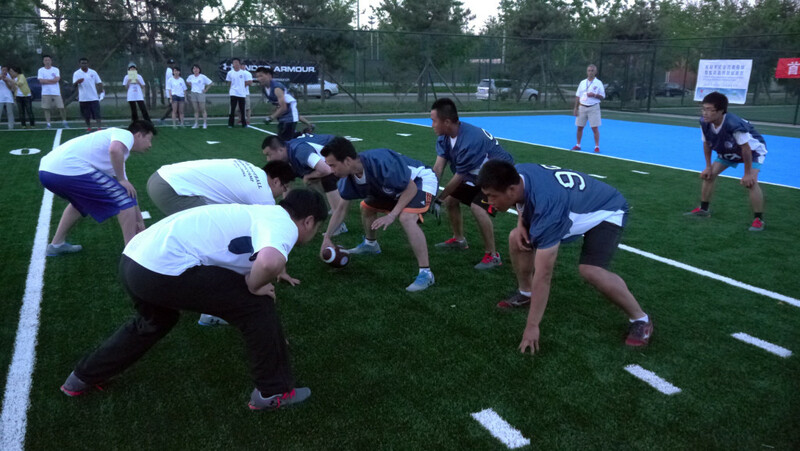 But we found guys really big and really athletic,” he said.The six team Arena league features 120 players, half have to be native Chinese. A deal with the Chinese government to help grow the game.”I think the biggest problem football has had in going to countries is not having native people that country play, someone people can look up to.” Judge said. On his big board, former Philadelphia sportscaster and current head of broadcasting and media for the CAFL, Lou Tilley maps out his game plan for teaching Chinese broadcasters how to bring the game into people’s living rooms. “First down and 10 what does that mean? It’s the first play. So it’s first play and 10 yards to go. 2nd play and 7 yards to go. Changing the structure,” Tilley said. Also changing a deep rooted culture that now has the west on the goal line of global impact. “With all due respect they want to be more like us,” Judge said.